As part of the Stratégie nationale sur les perturbateurs endocriniens (SNPE, National Strategy for Endocrine Disruptors), Anses (French Agency for Food, Environmental and Occupational Health & Safety), has published the results of an assessment on five chemicals suspected of being endocrine disruptors, including Triclocarban. The Agency is now going on with their work, assessing the five substances on their 2017 SNPE agenda. 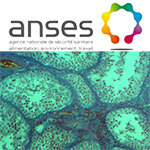 The Plan national santé environnement 2015-2019 (PNSE3, National Health & Environmental Plan) is aimed to help implement the SNPE and entrusts Anses with the job of ‘assessing, in a more accurate and targeted way, the hazard and exposure of populations and the environment to certain endocrine-disrupting substances to better manage them.’ Anses was given the responsibility of evaluating at least five substances a year. And the Agency has made their opinion public on the assessment of the five substances on their 2016 agenda: TMBPF (4,4’-methylenedi-2,6-xylenol), Triclocarban, RDP (tetraphenyl m-phenylene bis(phosphate), Dicyclopentadiene, and tin sulfate. As regards Triclocarban, Anses carried out an analysis of the best risk management options (Risk management option analysis or RMOA), following the procedure in force used by ECHA and the European Union Member States for presenting the assessment performed on this substance.